$3 & $4 cocktail/shot/beer specials along with ½ off select appetizers! $14.99 All you can eat wings! 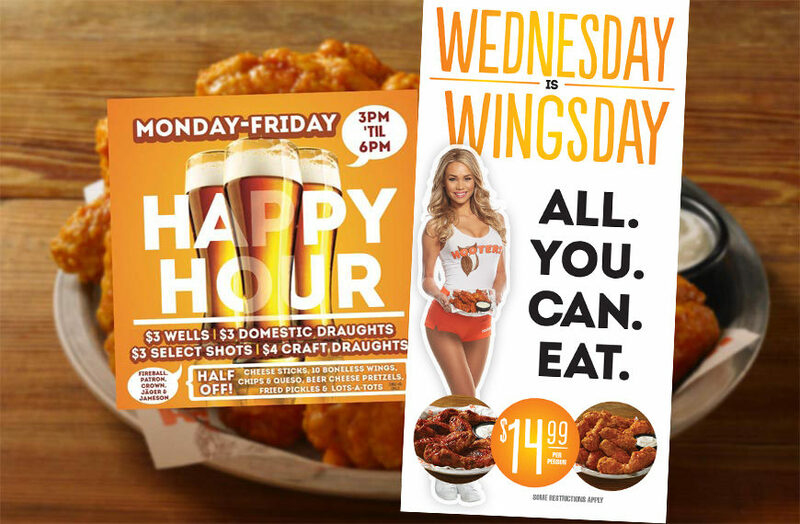 Choose from Hooters favorites only $9. Click for more details!